﻿ Roadside Station: TSUBAMESANJO Regional Products Center | Only 5 minutes (1km) from Sanjo Tsubame IC! Roadside Station: TSUBAMESANJO Regional Products CenterOnly 5 minutes (1km) from Sanjo Tsubame IC! 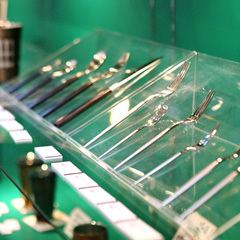 Exhibition and sales area featuring local Tsubame cutlery, Sanjo knives and some other metalworks. 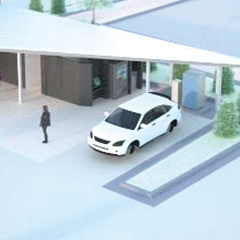 EV charging station and public restrooms ideal for driving tours of TSUBAMESANJO. Copyright(C) TSUBAMESANJO Regional Products Promotion Center. All rights reserved.